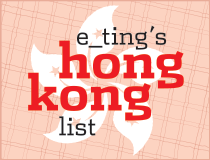 I was in Macau on my own, combining work and play (I had a gift certificate for a stay at the Four Seasons in Macau, which I very fortunately won at last year's media Christmas party, and I needed to use it). 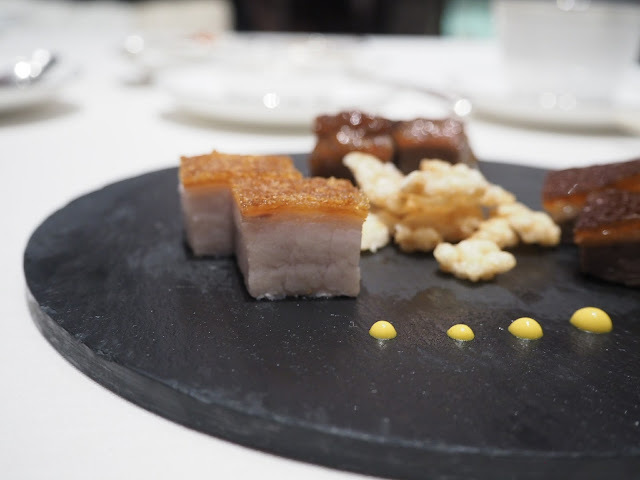 I realised that aside rom a whirlwind trip for last year's Michelin Gala Dinner, I hadn't been to Macau in about two years - pretty shameful considering it's just an hour's ferry ride away. 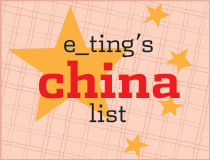 It meant that there was a whole slew of new-to-me restaurants to try, and I tried to hit as many as I could. I was particularly interested in the Chinese restaurants and had heard good things about Pearl Dragon at Studio City and Lai Heen at the Ritz. Both were good, but I came away exceptionally impressed by the latter. 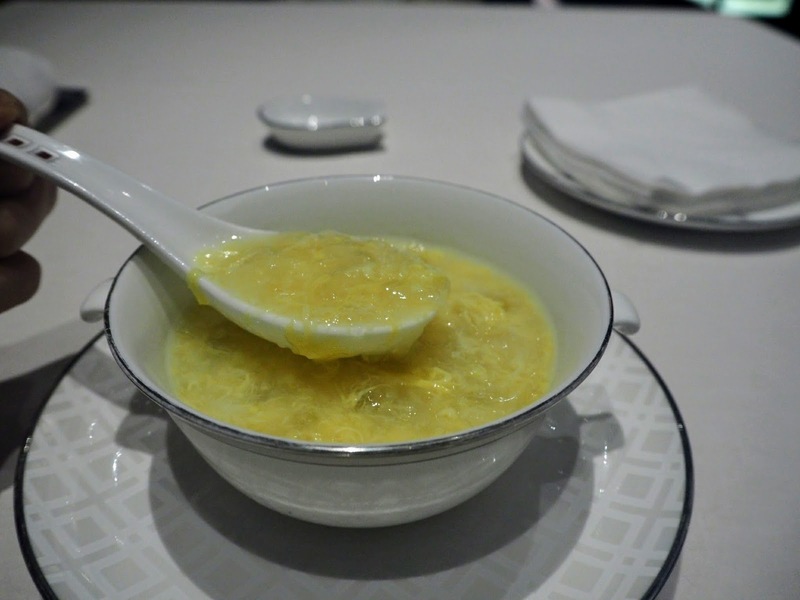 Eating Chinese alone is usually a bit of a challenge, but any fine dining Chinese restaurants have individually plated dishes, or are able to create smaller portions upon request, so there were no problems there. The sweet mui choi I mentioned earlier was actually part of the dish mui choi kau yook (梅菜扣肉), slow-cooked porked belly with sweet dried mustard greens, traditionally a heavy Hakka dish. Here, it's served as single portions by default - I'm not sure why that is, but it suited me just fine. Aside from the classic pork belly and mui choi, there was also a crispy rice cone filled with deep-fried leaves of mui choi, an interesting touch, but the main event for me was that mui choi and gravy. Sweet, salty, thick, glossy - I ate a small bowl of plain rice with it, and I swear I could have eaten another portion all by myself. Without the rice, it would have been a bit too intense, so I'm grateful my server, Miko, had the initiative to suggest it. Speaking of my server, she's probably the best server I've had in a Chinese restaurant, ever. (And note that I was there on a personal trip - no PRs were involved and I paid my own way). Aside from the brilliant and important suggestion that I get plain rice with my mui choi (it would have been too intense otherwise), she also gave me suggestions on what and how to order (especially as I was eating alone. If she hadn't proposed I get a roast meat platter, instead of just char siu to start, I would have missed out on the fantastic roast goose), and the best way to eat certain dishes (cutting into my mini pumpkin to get a cross section of the fried rice, so I'd get crunchy bits in every bite). She was there when I needed help and left me alone when I didn't. I have no qualms about dining alone, but sometimes, I get irritated when servers don't know what to do with you - some try to engage too much, others leave you in a corner and forget about you, or worse, put you in the middle of the room so they can keep an eye on you (seriously, where is the logic in that?). There was none of that here - I got well-informed answers to my queries, sans pretence, and smooth, professional service. 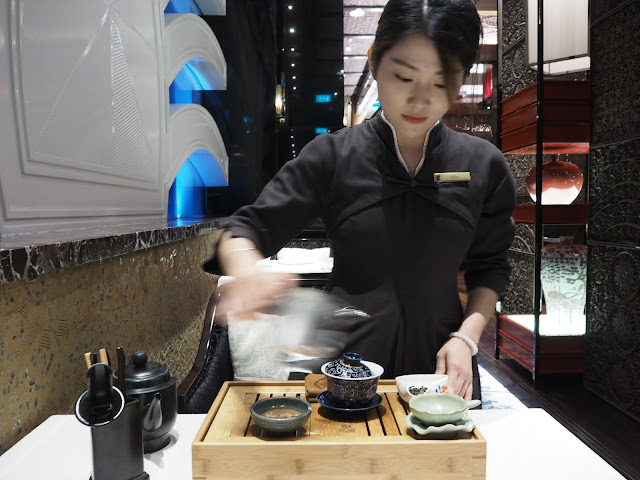 For those of you reading from outside Hong Kong, Macau and China, you may not think that's anything special, but service is a huge issue in these parts, especially China and Macau, where standards haven't quite caught up with the boom in luxury F&B. The roast meats platter I started with consisted of char siu, siu yuk and roast goose. 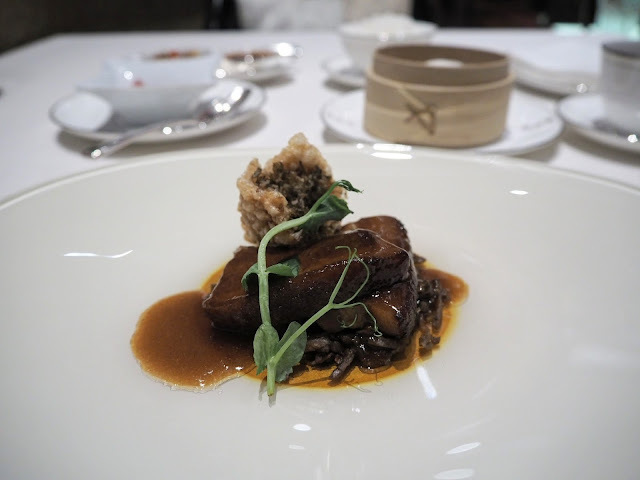 I'd heard a lot about the char siu, and it didn't disappoint, although it didn't surprise me either - it was what you'd expect of a high-end Cantonese restaurant. The siu yuk was fine - the skin was crispy but would have been even better if it puffed up more with bigger air bubbles. 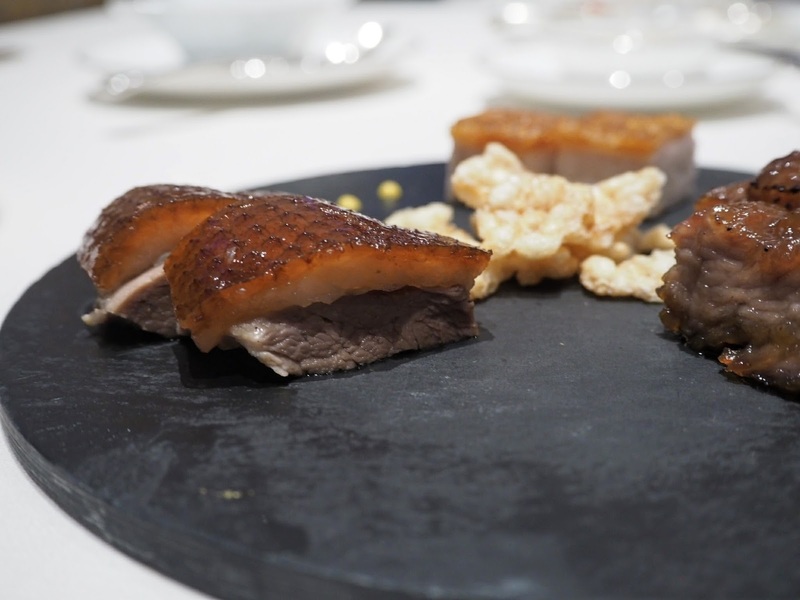 The star of the show was the roast choose, which they called Chaolian roast goose. The skin was taught and crisp, there was a thick layer of fat under the skin, and while it wasn't fully rendered, it didn't feel overly greasy or offputting - it had depth of flavour and a delightful sweetness to it, kind of like eating really good butter. Chaolian (潮蓮) is an island in Xijiang River in Jiangmen, Guangdong, and to my understanding Chaolian roast goose is not so named for the origin of the goose itself, but for how the goose is finished and cooking method. (7 day finishing, though I'm not sure what on, and then its cavity is marinated, but it would appear (from 5 mins of googling) that the skin is left untouched. Traditionally it's roasted on charcoal flames, but I'm not sure what the regulations are in Macau). 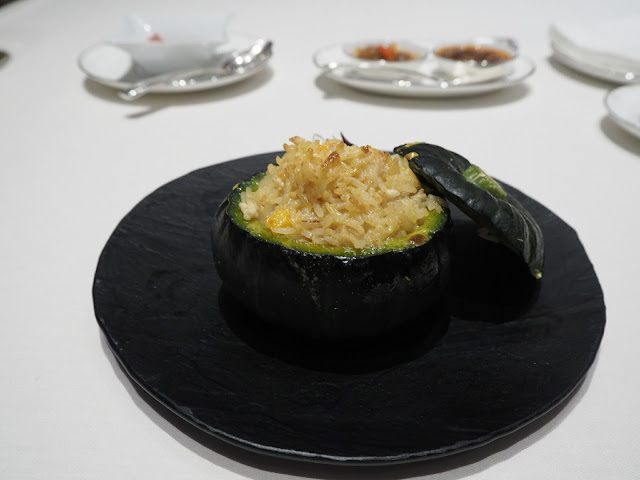 The pumpkin and seafood fried rice, a signature at Lai Heen, was very cute, and there wasn't anything hugely wrong with it, but it didn't really inspire. Personally, I've had enough of seafood fried rices - as long as it's fried properly, I'm happy for it just to have some egg and spring onion, especially at the end of the meal when I'm already super stuffed. The pumpkin itself didn't have much flavour either (I was expecting at least some sweetness), however it was the perfect foil for their XO sauce - don't miss it. For dessert, Miko suggested a sweet soup of diced aloe vera, water chestnut and egg (imagine egg drop soup), which wasn't a combination I'd had before. Aside from being a little too sweet, it was a nice way to end the meal, especially as it was accompanied by a little tea ceremony (I was served a floral and oolong blend, apparently the signature blend at the restaurant. As I'm a staunch pu'erh drinker, I usually avoid oolongs, but the tea was well made - fragrant and balanced). I capped off the evening with a drink at the Ritz-Carlton Bar, which was (too) conveniently just next door, where I had a deliciously smoky (and giant - that glass had the circumference of a grapefruit) negroni "Nebbioso". 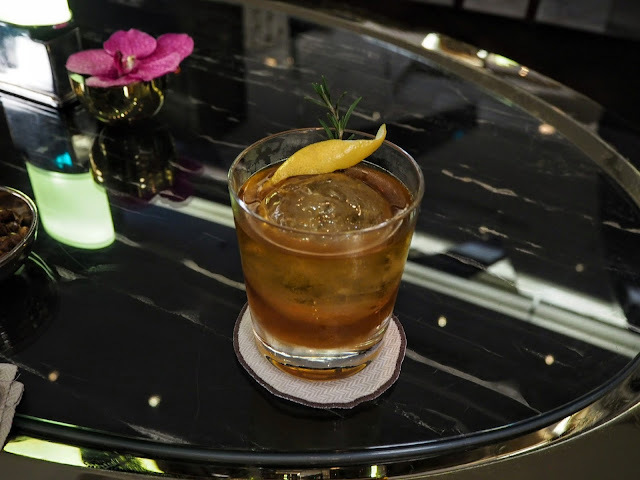 It's hard to find a proper bar in Macau - my previous go-tos were the Macallan Bar at Galaxy (for whisky, but they weren't too serious about their cocktails) and Macau Soul (for port), in a charming shophouse near the St Paul's Ruins. A good cocktail is a rare thing in these parts and I'm glad the Ritz's bar is here to fill the gap (more like, huge, city-sized canyon of a gap). As I was leaving, the lady at the concierge desk (they have a separate one on the restaurant level) asked where I was staying and ordered me a cab, so by the time the elevator took me downstairs, a cab was waiting and the doorman was holding open the door - maybe I was drunk, but it was almost like I was on a magic carpet. Ok, maybe I was drunk.